I love the waking to the sounds of seagulls and the distant baa-ing of sheep. 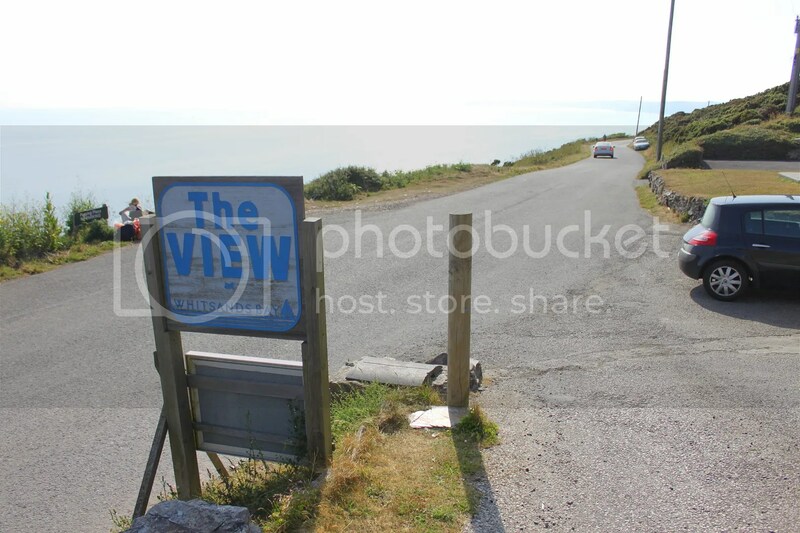 Throw in the breathtaking coastal view and that’s more or less what I would call living the life. 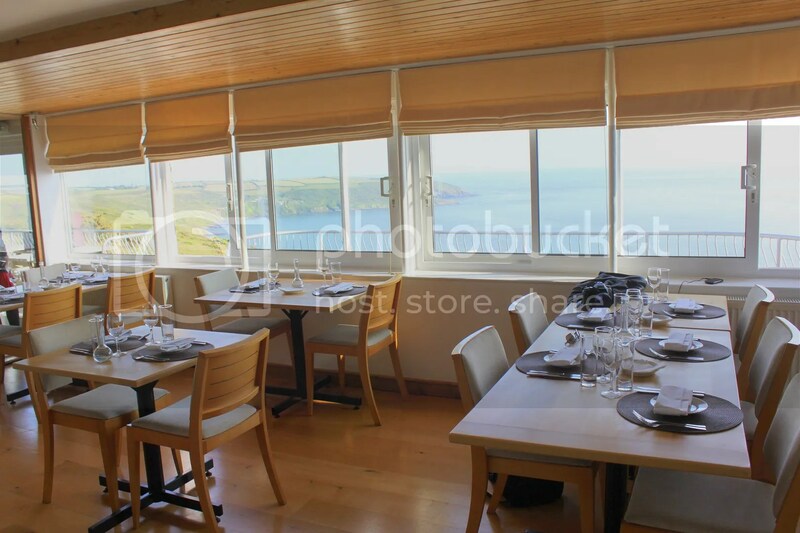 Located on the high cliffs of Whitsands Bay, The View provides just such the setting. 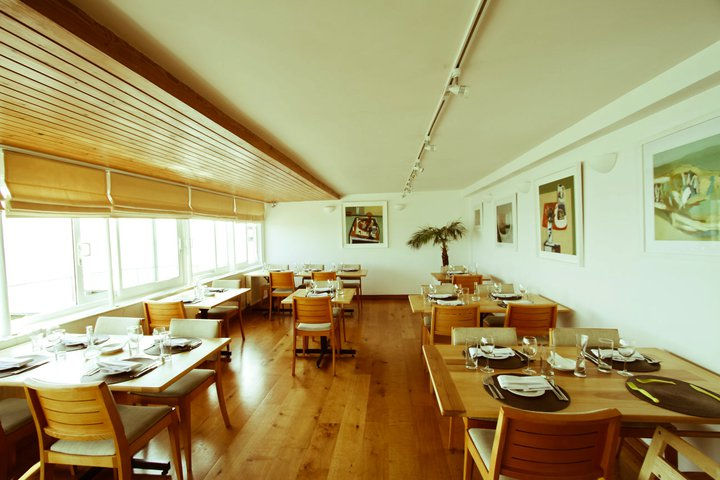 Though it’s slightly off the beaten track, distance and uhloo-ness has proven not to be an obstacle for The View, which has garnered quite a number of accolades over the past few years and sees a full house even on weekday dinners. Anyway, I have a question regarding scallops. You know the raw ones we see at buffet lines? 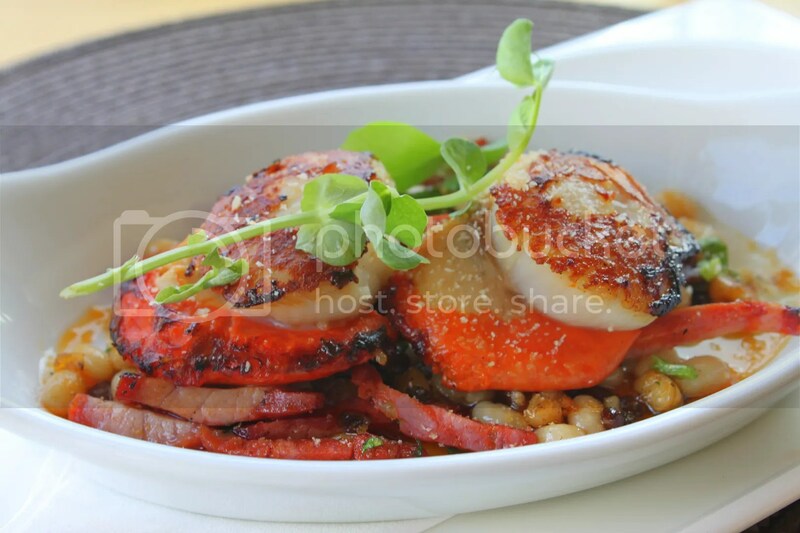 There always seems to be the red/orange colour “stomach” attached to the white scallop, which is also attached to the cooked scallops as seen below. What portion of the scallop is that? Is it the roe or intestines or something? And why is it that its almost always removed when scallops are sold in markets? Anyone care to enlighten me? I felt that the mains were much of a disappointment after the stellar appetizer. 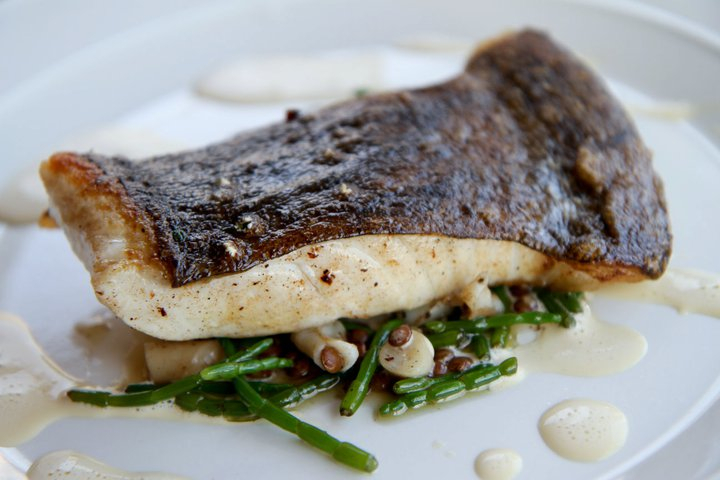 Of the 2 mains we tried, I preferred the Roast Turbot, Razor Clams, & Butter Samphire (19.50GBP), which was fresh but came across as slightly bland. The waiter was hyping up the Samphire and about how it’s a seasonal seaweed but it didn’t taste that awesome. 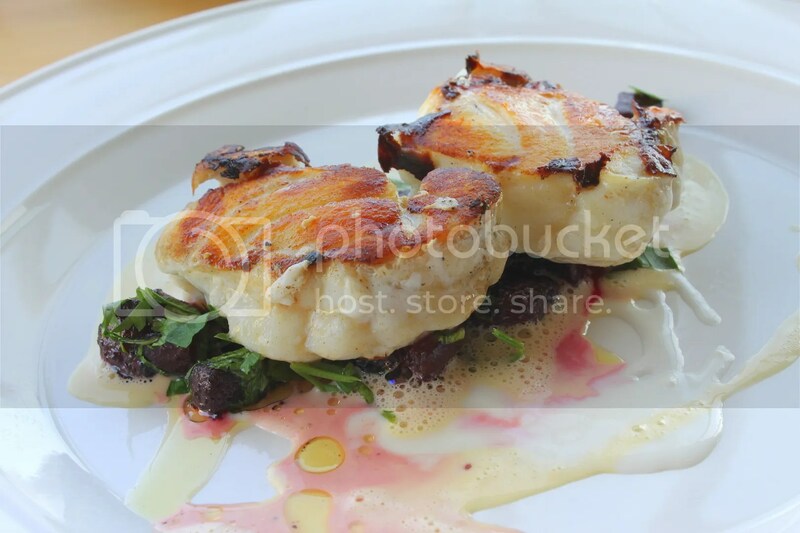 On the other hand, my Grilled Monkfish, Pickled Beetroot with Goat’s Cream Cheese (18.50GBP) was rather muscular and chewy. 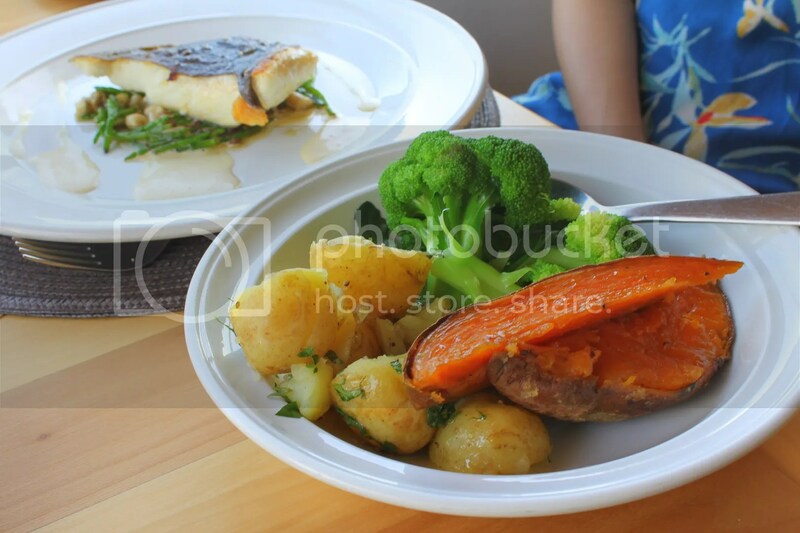 The pickled beetroot added an unpleasant aftertaste to the fish. Ironically, the side of grilled sweet potatoes that accompanied this dish was what shone for this dish. The View’s signature dessert is the Hot Chocolate Mousse with Pistachio Ice Cream (6.50GBP). 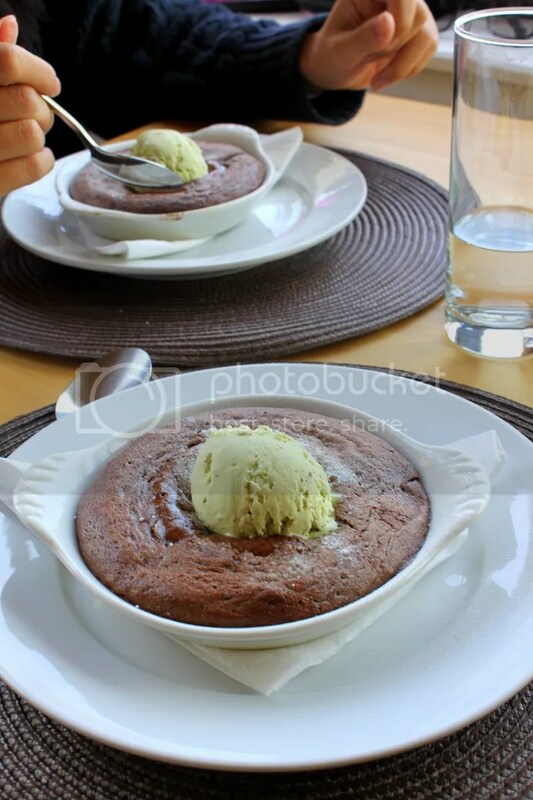 I think of it much like an oversized and slightly undercooked chocolate fondant, where the crisp outer layer is thinner than usual with an almost completely molten core. The Pistachio Ice Cream took a little getting used to but pulled through towards the end. If possible, perhaps you might be better off asking for 3 scallop appetizers, no mains and 1 dessert as your meal. I’m sure you will have a blast! 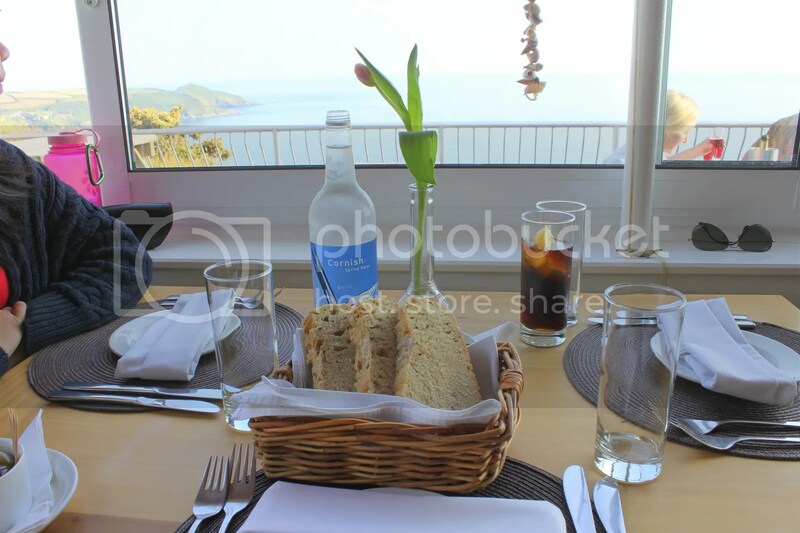 Categories : All YumYums in my TumTum, Cuisine Type YumYums, England - Cornwall, Location of YumYum, Western, Yummy! the orange part of the scallop is the roe, otherwise known as the coral. scallops are often sold without the coral because the latter is very perishable, more so than the adductor muscle (the white part). thanks for the info Stargirl!